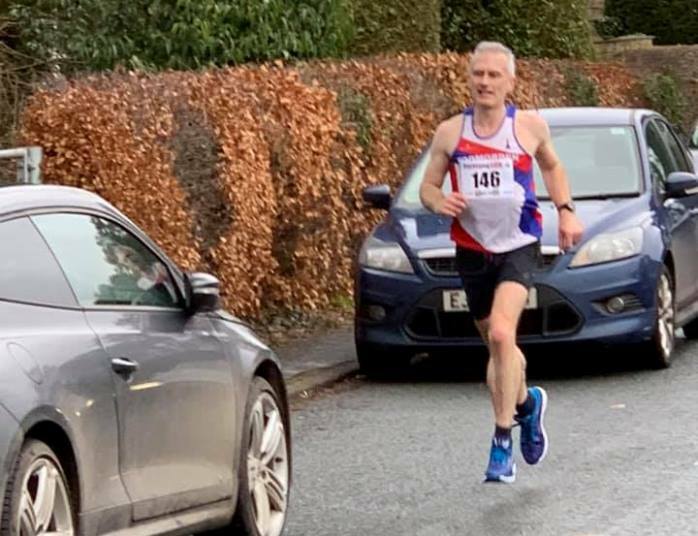 The Todmorden Harriers Road Championship got underway on Sunday 13th January with the Garstang 10k, which is an undulating road race with a field made up of 496 runners. 11 Toddies turned up and despite the difficult windy conditions Matt Flanagan powered his way to a fantastic 18th place overall with a time of 39.31 beating team-mate Dan Taylor by just 8s. Dan has been making huge progress over the last few years with his times tumbling along the way. With this being a PB for Dan at the 10k distance so early in the season it shows he’s in great shape and has even more gains to be made as he eyes up his run at the London Marathon in April. Pauline May rocketed around the course to finish 2nd female overall in a great time of 41.23. Kerry Edwards also ran well in a PB time of 44.14 for 69th overall. The overall race winner was Matt Lalor of Ribble Valley Harriers in 33.56 whilst the Ladies winner was Victoria Mousley of Blackburn Harriers dipping under 40 minutes with 39.52. The next race of the Todmorden Harriers road championships will be Inskip Half Marathon on Sunday 20th January.